An Industry Leader in Environmental Stewardship. Ash Grove’s programs and investments advance the goals in the company’s broad focus areas of environmental stewardship, social responsibility and economic prosperity. Environmental stewardship includes reducing environmental effects related to Ash Grove’s operations. It incorporates land use practices and appropriate consideration of climate protection issues. Social responsibility stewardship focuses on employees and plant communities. The aim is to provide employee well-being through improved health and safety practices and job satisfaction. Quality of life is enhanced in plant communities through stakeholder dialogue. The history of Ash Grove’s Environmental, Health & Safety goal setting and performance can be found in our annual Sustainability Reports. All available versions of our Sustainability Reports can be downloaded from the Ash Grove Newsroom Page. As we shaped the goals for the 2013 – 2015 measurement period, we did so in consideration of the added emissions control and monitoring equipment installed to meet the regulatory standards. Operating more equipment to achieve regulatory compliance causes an increased use of power. Increased power consumption adversely affects our ability to reduce certain environmental measures beyond or below our baseline year. Another outcome as we improve operation of the new equipment and monitoring systems will be the increasingly smaller incremental gains on emissions reductions we can achieve as all of this equipment reaches optimum performance. Over time, the year-to-year difference we are able to produce from today’s new technology will diminish. Ash Grove's commitment to a safe and healthy work environment is unparalleled. Ash Grove protects employees with an active health and safety management system with its eight cement manufacturing plants; subsidiaries; Portland, Oregon, limestone plant; and the Houston, Texas, and Rivergate, Oregon, port terminals to ensure a safe work environment. The system includes audits, compliance management, injury prevention and training. Beyond the ongoing safety training, Ash Grove has initiated a number of programs to bring best practice processes into its facilities and customize them to situations unique to each location. These plans are customized to each plant and guide efforts at preventing injuries, illnesses and property damage. Each facility develops and implements a health and safety plan tailored to its unique needs to guide efforts at preventing injuries, illnesses and property damage. Included in the programs is a focus on behavior-based safety where front-line supervisors, employees, contractors, vendors and visitors give feedback to reinforce safe behaviors and reduce the chance of injury. Each plant also applies behavioral and engineering approaches to ergonomics to reduce and prevent musculoskeletal disorders. In each facility, a full-time health and safety manager coordinates and facilitates company health and safety programs and processes. Each year there is a company-wide, plant-level safety performance recognition with bronze, silver and gold Ash Grove Safety Leadership Awards. 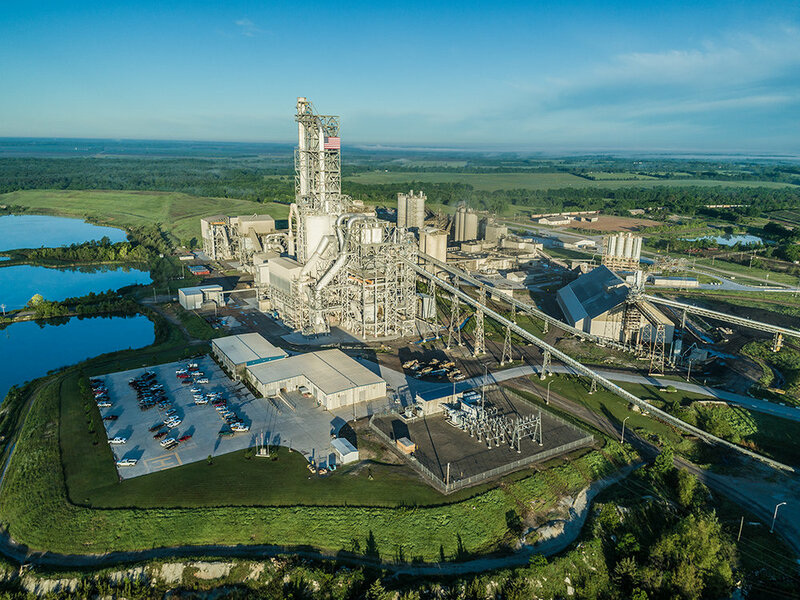 In 2014, Ash Grove Cement Company completed projects required for early compliance with the new environmental regulations in place under the National Emission Standards for Hazardous Air Pollutants for Portland Cement Manufacturing (PC NESHAP). We are committed to being an industry leader in complying with all these standards. With an improving economy, Ash Grove’s production is on the rise while maintaining environmental compliance and continuously improving our process. We are committed to industry leadership, manufacturing a quality product vital to our nation’s economic health in a way that protects natural resources, ensures workplace safety and serves the communities in which we operate. With a commitment to industry best practices, emissions reduction and monitoring technology, innovative products and services, Ash Grove continually pursues a sustainable approach to business. In December 2011, Ash Grove achieved a goal several years in the making when we announced that our Foreman, Arkansas, plant had earned ISO 14001 certification. 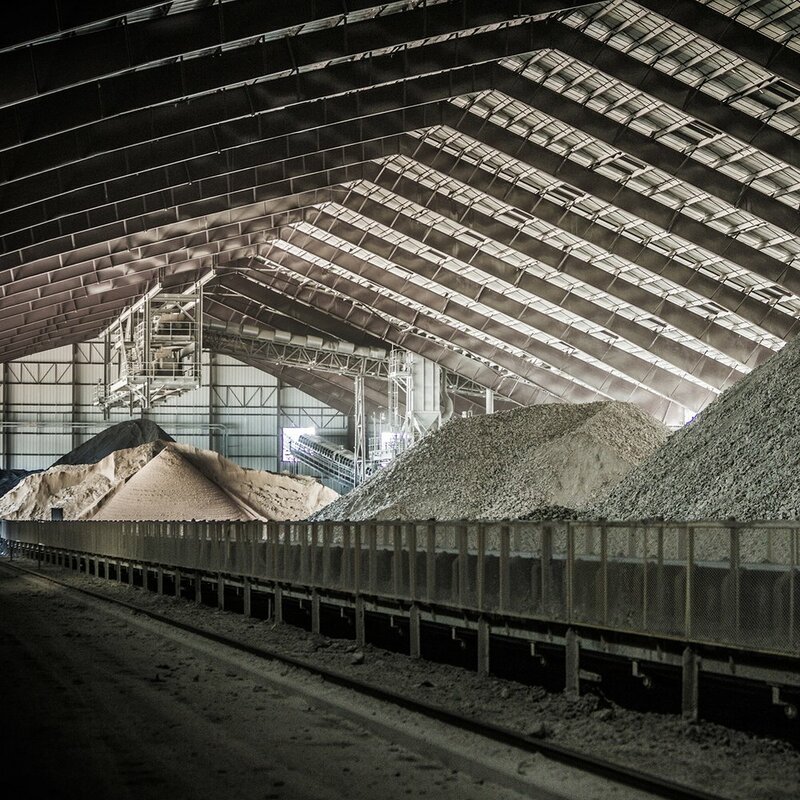 With that accomplishment, Ash Grove became the only domestic cement manufacturer to have its entire fleet of clinker manufacturing facilities earn the prestigious ISO 14001 certification. This international standard sets recommended requirements for an environmental management system (EMS). Endorsed by both the World Business Council for Sustainable Development and the Portland Cement Association, the standard is intended to improve a company’s ability to manage environmental compliance. Certification is provided through Eagle Registrations, a third party that performs annual audits to ensure conformance with the ISO. Ash Grove Cement Company was re-certified as ISO 14001-compliant at all of its manufacturing facilities around the country July, 2016. A member of the Wildlife Habitat Council, Ash Grove’s plant property in Foreman, Arkansas, is certified wildlife habitats. Foreman has certification for its Wildlife at Work program, which involves initiatives to enhance aquatic habitat and nesting areas for native birds, promote native plant and pollinator diversity and host environmental education. Following the $150 million investment in the Midlothian, Texas, new kiln project and the installation of $70 million in new emissions control and monitoring equipment at our other plants, the company made an additional investment to demolish and remove obsolete equipment and structures in 2014 with substantial projects completed at our Foreman, Arkansas, cement manufacturing plant. Other demolition projects at our Durkee, Oregon; Louisville, Nebraska; Chanute, Kansas; Blubber Bay, British Columbia; Midlothian, Texas; and Seattle, Washington plants were completed in 2016 and 2017. Ash Grove has one of the highest fuel substitution rates of any cement company in the world. Since 1987, Ash Grove has safely burned alternative fuels saving 3.5 million tons of coal. That’s enough to fill more than 44,100 rail cars that would stretch end-to-end from Kansas City, Missouri, to Denver, Colorado. The HOTDISC® reactor at our Midlothian, Texas, plant is the only such device in the U.S. Made by FLSmidth, the hot disc combustion device is a large, moving hearth furnace that integrates with the plant’s preheater and calciner systems. It burns whole truck tires, serving to divert tens of thousands of tons of non-hazardous waste from landfills each year. With architects increasingly focused on creating sustainable structures, their choice of materials matters. Ash Grove and other leaders in the cement manufacturing industry believe concrete is an essential product in achieving sustainable development because its primary ingredient, cement, is a sustainable product. Ash Grove’s products and manufacturing practices support the development of buildings that earn the most widely recognized standard for sustainable structures – Leadership in Energy and Environmental Design (LEED) Green Building Rating System™, administered by the United States Green Building Council (USGBC). The company’s Durabase® and Class C fly ash products when blended are effective in soil stabilization and extending the life of our nation’s roads and parking surfaces. Both formerly landfilled, each is an element of Ash Grove’s arsenal to support sustainable development. Duracem® F, when blended with Class C fly ash, reduces the amount of energy and CO2 emissions used and dispersed while improving the durability of concrete. In the last several years, Ash Grove Cement Company led the industry in the discovery, development, acquisition, testing and implementation of new equipment and technologies that continuously meet high standards for emissions monitoring and reduction while maintaining our leadership in the use of alternative fuels. 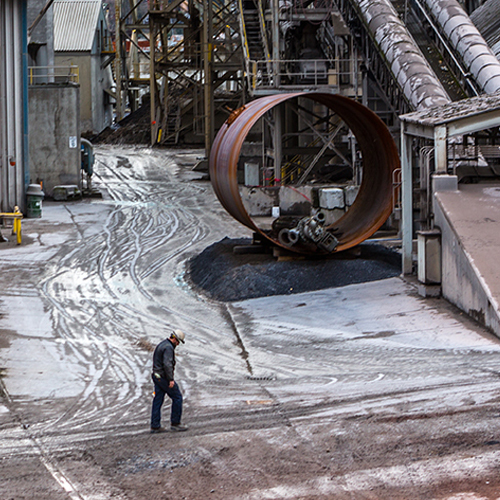 We were the first cement manufacturing company to meet and fully implement the National Emissions Standards for Hazardous Air Pollutants for Portland Cement Manufacturing (PC NESHAP). It has been difficult but along the way we have had a hand in creating control and monitoring technologies specific to the unique challenges of the cement industry. We have invested in people who we have trained to become experts in completely new operating and monitoring technologies, in cutting-edge equipment and in our communities through thousands of hours of time volunteered by our employees and millions of dollars donated from our plants and the Ash Grove Charitable Foundation. It is a privilege to produce a product essential to our nation’s economic health in a way that protects natural resources, ensures workplace safety and serves the communities in which we operate. Operation of the company’s facilities in an environmentally responsible manner in compliance with environmental regulations and other requirements which relate to the company’s environmental footprint. Development and implementation of an environmental management system to ensure the environmentally responsible operation of the company’s facilities consistent with the best practices of our industry and to periodically assess the company’s progress toward its goals. Efficient use of energy and the development of beneficial alternative sources of raw materials and fuels at its facilities. Continuous improvement of operations within the manufacturing process by developing and achieving environmental objectives and targets designed to reduce the amount of emissions or releases attributable to facility activities and to minimize adverse effects on the environment. Minimization of the creation of waste, wherever practicable in its operations, and the safe and responsible recycling, beneficial reuse, or disposal of wastes in compliance with applicable laws and regulations. Development and production of finished products that can be safely manufactured, transported, used and disposed. Development and maintenance of emergency preparedness or contingency plans where significant hazards exist in the company’s operations. Development of open communication with its employees, suppliers, customers, neighbors and members of the public regarding its policy on and management of environmental matters. Education and training of its employees in the conduct of operations in an environmentally responsible manner and the assignment of qualified personnel to supervise such operations. Retention of vendors and contractors committed to responsible environmental management. Participation in the creation of responsible laws, regulations and public policies dealing with manufacturing, construction and the environment, and the encouragement of fair and equitable enforcement of same.